~Mamamie's Thots~ Singapore Parenting and Lifestyle Blog: We Are Going To PG Today! We Are Going To PG Today! The children always look forward to weekends, especially if their papa is not working or golfing for the entire day. They would bug us until we are willing to bring them somewhere, they do not want to be at home. After visiting hb's relatives, the children started to ask the same question again in the car. Children: Papa...are we going anywhere? Hb: We are going to the fish shop. Children: har? so boring, can you bring us to somewhere fun? Hb: Okay, after the fish shop we will go to PG. 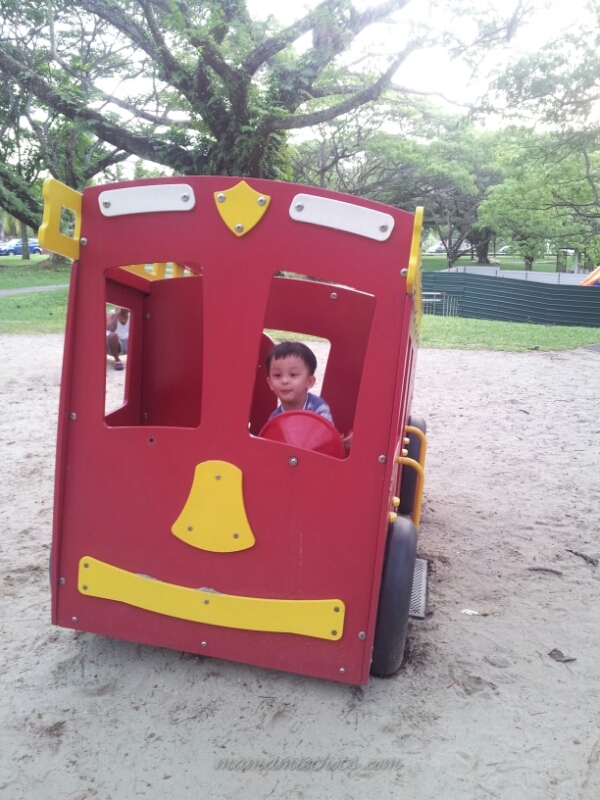 So yeah, we brought them to Pasir Ris playground and they had so much fun although some section of the playgrounds were closed. Looks like fun. 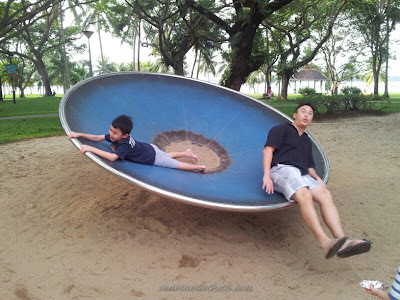 Kids just love those big spinning disk things, don't they. 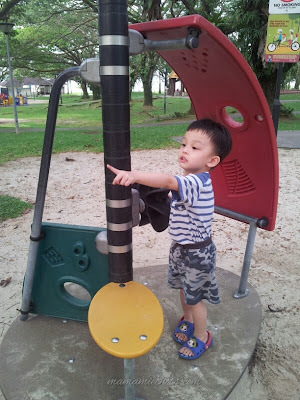 My kids LOVE the playground too - such a fun and free thing to do! 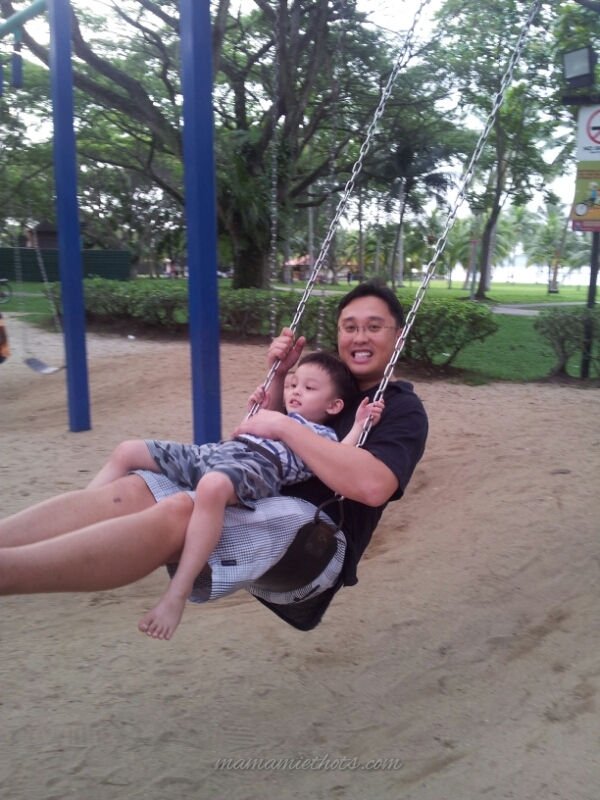 It has been a while since we went to Pasir Ris playground. I'm still waiting for it to be fully renovated before going there again. 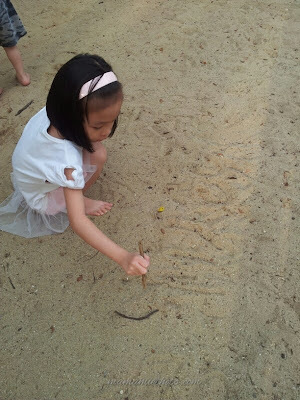 such a great playground :) Love the "PG" shorten words!